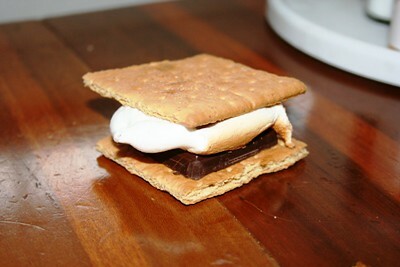 smores!, originally uploaded by All Things Mimi. After we grilled some pork chops the other night, I had a craving for a smore. 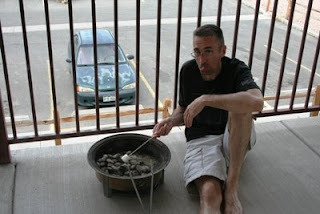 So we broke out the bamboo skewers, the marshmellows and all the other fixins, and I got what I was after. Here's a cute shot of Dev toasting his first marshmellow of the season. He makes faces like that because he's a dork...yummy looking s'mores. Sorry about the dork reference - I'll buy you a beer when I am there.